Fort Myers, FL -- (SBWIRE) -- “Gabby, Angel of God: Guardian and Messenger: Keeper of Love, Joy, Peace, Kindness and Faith” is the exciting and thought provoking new paranormal romance novel from author Greg Sandora that has fans talking. Angels are certainly a fascinating subject, but one that's rarely been approached from as creative an angle as author Greg Sandora has in his increasingly popular new novel “Gabby, Angel of God.” Sandora opens up a classic archetype and brings it fully into the world of supernatural romance and according to his growing fan base the results are electrifying. 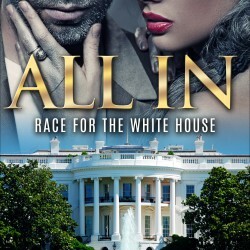 Sandora is best know for his Jack Cannon series which focused on the White House and presidential romance and mystery. “Gabby, Angel of God” dives full force into paranormal / supernatural romance and the response to the author's new direction is making fans of the genre stand up and take notice. Greg Sandora is originally from the Portland, Maine area and lived and worked there for years before moving to Southwest Florida. He graduated with a business degree and owned and operated an Award Winning Franchise Fitness Center. Greg has also recently released the sequel to his Political Thriller, "Jack Canon's American Destiny", which is titled "Jack Canon’s Women of the House". With a tagline that reads "Love, Lust & Loyalty. A Story of Kindness, Passion & Courage, That can't be Separated...", the sequel promises to be worth the wait and is Now available on Amazon! Currently a professional manager, Greg is living in Florida with his beautiful wife and children, following his passion for writing.